Soothing and caring Cancers are also quick in offering help to others. On their part, they try and avoid/ duck conflicts, as much as possible. This very trait makes them quiet and controlled about their own feelings. The Crab will quickly withdraw and retreat to the safety of its shell than confront and come clean – whenever faced with a conflict or dilemma. Nonetheless, persistent determination is one of the greatest strengths of the strong Cancer-born. They may not appear to have great ambitions, on surface, yet their desires and goals are deep and profound.It is often observed that in order to draw sympathy, the Cancer-born can be fairly insensitive towards others, foul-mouthed, rude and short-tempered. Only a truly sensitive soul would manage to notice that this seemingly rude behaviour is a disguise, a clever means to hide complexes and insecurities. Planning to change your job? Have you thought whether it is the right decision or not? End all your doubts by seeking Expert guidance. 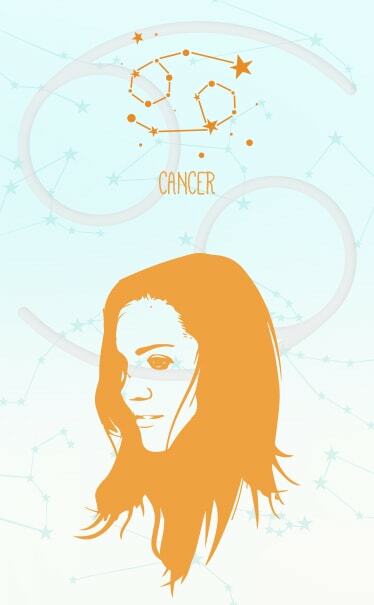 Cancer is a Water Sign and stands 4th in the Zodiac. 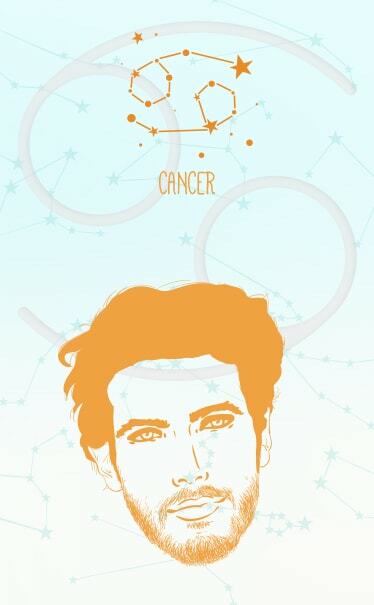 Lovers of home and family, the Cancers or Crabs are sensitive, emotional, harmonious, dedicated yet fixed. Most Cancer-born value their home, loved ones and comforts more than anything else. To most Cancer-born, the most noble goal lies in sheltering and providing every comfort to their loved ones. Soothing and caring Cancers are also quick in offering help to others. On their part, they try and avoid/ duck conflicts, as much as possible. This very trait makes them quiet and controlled about their own feelings. Cancer, the Crab will quickly withdraw and retreat to the safety of its shell than confront and come clean – whenever faced with a conflict or dilemma. Nonetheless, persistent determination is one of the greatest strengths of the strong Cancer-born. They may not appear to have great ambitions, on surface, yet their desires and goals are deep and profound. 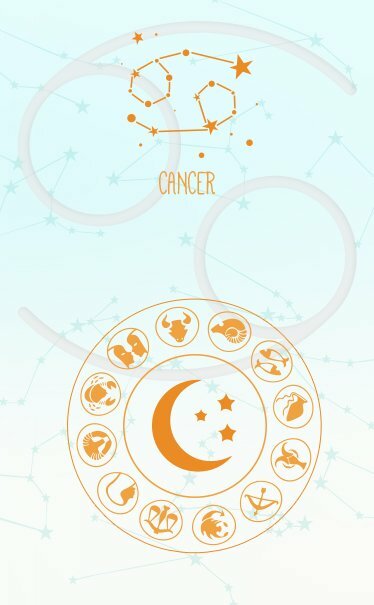 At work, the Cancerians make for good managers and organizers, and are often seen taking good care of their co-workers and maintaining friendly, family like relations with them. Are you feeling dissatisfied with your career? Get accurate guidance from our Experts to make big, positive changes happen. 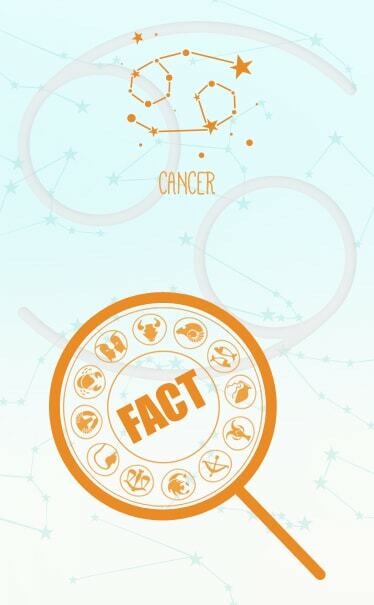 The Sun enters Cancer, the 4th Sign in the Zodiac, around the 21st of June every year. The Crabs are extremely intuitive and emotional, and possess a profound maternal instinct and take great pleasures in the comforts of their home and family. It is not easy to understand the Cancer, as these extremely introvert individuals take time to open up and often hide their actual emotions beneath their tough outer shell. That is why, they run the risk of being perceived as arrogant and impolite people who are not sensitive to the feelings of others. We therefore recommend you to buy Chart your Destiny report, basis your Natal Chart, to make the best use of your inborn strengths and lead a successful life. Do you want to know when will you get married? Get authentic guidance to improve your marriage prospects from our Experts. If you were to meet a Cancer man for the first time, it is unlikely that he would open his heart to you. They come through as very shy, reserved people, who would not tell everything about themselves in the first few meetings. In fact, it will take you a while to come closer and know the Cancer man. To help you know the Cancer man better, we have listed some of their basic characteristics here below. This information will enable you to know more about their traits. 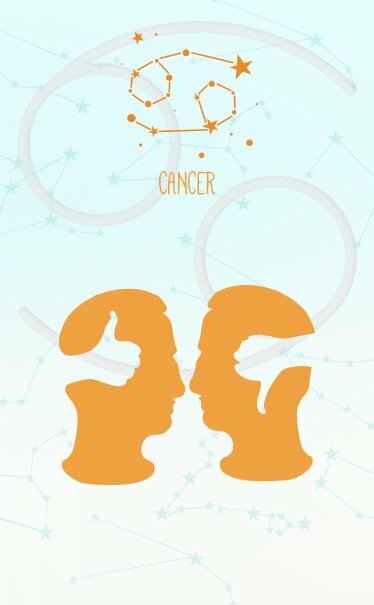 Ruled by emotions and the matters of the heart, the Cancer men are very affectionate, thoughtful and considerate of others’ feelings. Though their decisions are often based on emotions and not on facts and figures, they can be very intelligent. Moreover, you may buy Your Horoscope Analysis report, basis your Birth Chart, to know more about your positive and negative qualities. Facing struggles & not getting good opportunities in your career? Find out actual reasons troubling you & get solutions for success. The peace-loving Cancer woman can be very passionate. However, she can be very stubborn and her emotions can be very confusing for others. She can be gentle, affectionate, and agitated at the same time. Hence, keep your calm and composure while dealing with the Cancer women. Read on about their basic characteristics here to understand these complex personalities better. Her moods wax and wane like the lunar cycle. But the difficult thing for others is that there is no particular pattern in which their moods swing so one can never accurately anticipate what will come next. It is often observed that the Cancer women are prone to pessimism and negative attitude. 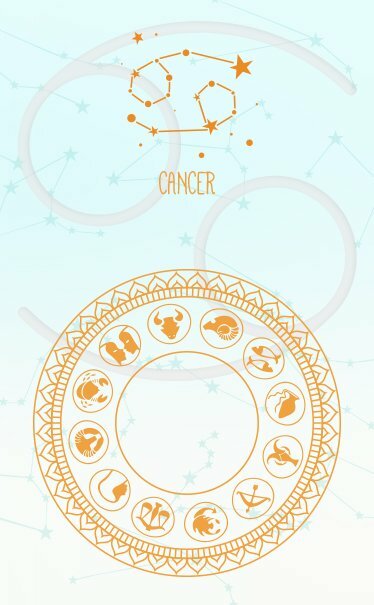 You can order Your Astrology Profile – a fully personalised report based on your Natal Chart, to get an in-depth knowledge about yourself. Are issues at your workplace causing a lot of stress? Our experts will tell you when will things in your career get better. Artistic and creative, Cancer-born can be very possessive. Often they get on others’ nerves for latching on to everything including wealth and every word that was ever said to them. It is difficult to understand, but on most occasions, the Crab can be admirable, compassionate, generous, understanding and gracious, particularly when everything is going on smoothly in their life. Besides, you may avail the Ask A Personal Question – Detailed Advice service, to receive accurate replies from our expert astrologers. The Crabs have a sharp intellect and are good with their fine motor skills. That is why they often earn a name for themselves in the fields of art, sales, media and performing arts. Moreover, you may purchase the 2015 Career Report, to know about your career prospects in 2015. No doubt, money and material gains are quite important to a Cancer-born, and although they are pretty miser with their hard earned money, they have a tendency to lavishly squander money that they might earn through sudden gains or windfalls. Are you confused which career to choose? Our experts will give you accurate guidance & complete clarity based on your actual talents. 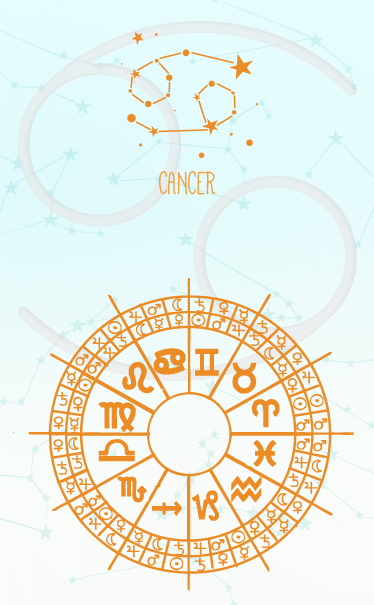 Sensitive and emotional, the Cancer take great pleasure in the comforts of their home and family, and are at their best when all is peaceful on the domestic front. Moreover, to know everything about your life, you may buy the Detailed Life Predictions Report, which is based on your Birth Chart. The Cancer romance those people who may be exactly opposite to them in nature. They are extremely attracted to people who have a lot of self-confidence, are strong and hold high positions. 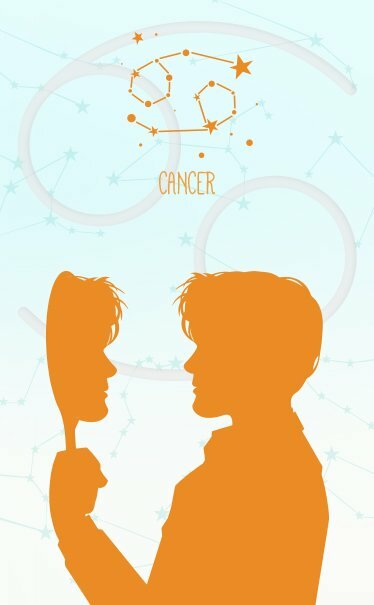 Actually, Cancer, Scorpio, Capricorn and Pisces natives usually make good life partners, and are therefore considered as an ideal match for a Cancer-born. Moreover, if you are planning to get married, you can avail the Kundali Matching service (basis your Birth Chart), to make the right decision. You might also be interested to know about Cancer Decans. Are you finding your Mr. or Ms. Right? Within 24 Hours, our experts will tell when you will be able to fall in love. 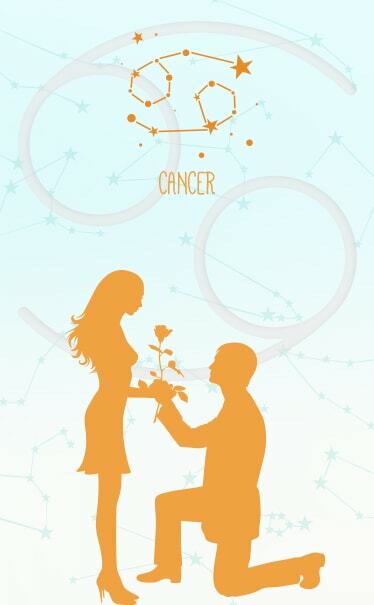 In relationships, naturally, Cancer-born are loyal and dedicated to their mates, bestowing love and affection with verbal appreciation and material gifts, whenever possible. Most noteworthy is the fact that Cancer-born make excellent parents, and they love their children to the core. Often, the Crabs are proud of their children, and instruct and teach their children moral manners, expecting them to be as well-mannered in private as they are in public. The Crabs possess a deep maternal instinct and are intuitive and perceptive by nature. They are likely to have huge families, providing for others, protecting and building a nest wherever they go. Travelling is one of the things that interest them greatly, but the urge to travel far and wide is often subdued by their desire to stay at home. In fact, a hearty picnic in the park is heaven on earth to most Crabs. They are traditional. They prize their family history, and are lovers of communal activities. Many of them also tend to be patriotic, and love to demonstrate it whenever possible. Your marriage going through a rough phase? Facing arguments with your spouse? Know how to bring back marital happiness. The Moon is the ruler for those born between 22nd June and 1st July. 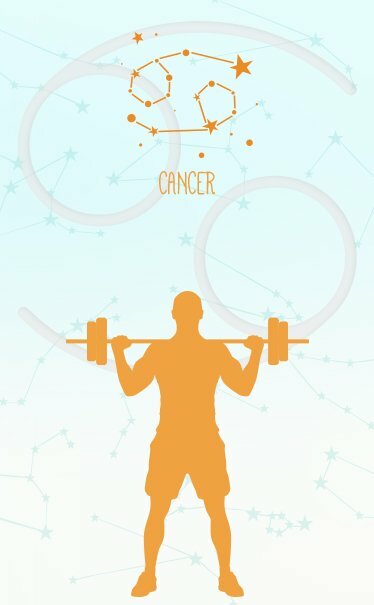 This makes a person with Zodiac Sign Cancer two-fold, in whom all the positive and negative traits of this Sign are much more pronounced. Those born under this influence are sensitive, generous and creative. They have a great sense of intuition, and are very eager to help others in a positive way. In doing this, they earn an enormous amount of self satisfaction. Hence, they can be said to be very generous. A sense of secure feeling for themselves and for their loved ones is important to them. In addition, they are the happiest and most comfortable when in the company of their near and dear ones. However, they can sometimes get too emotional, which tends to cloud their objectivity while dealing with matters that call for mature handling. In fact, we suggest you to buy your Janampatri report (which is based on your Natal Chart), to obtain details about yourself and your future. Are you planning to change your job? Within 24 Hours, our experts will tell you whether you should change or stick to your current job. The Cancer native is represented by the symbol Crab. Those who are born under this Zodiac Sign (Karka), the 4th in the Zodiac calendar, usually love their homes and their roots. This is also the most empathetic Sign of the entire Zodiac. 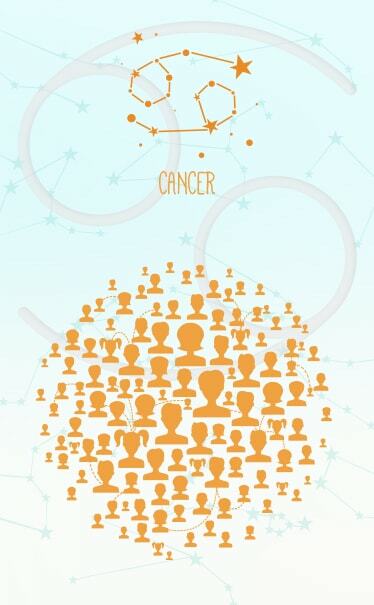 Cancer-born are an extremely reserved lot and definitely they can’t be easily understood. They hide their emotions well beneath their tough exterior. Kind and cordial till they are in a good mood, they can get bitter and melancholic, often getting hurt by trivial things. Are you unhappy with your financial situation? Want to enjoy better luck in money matters? Get highly effective tips from our experts. 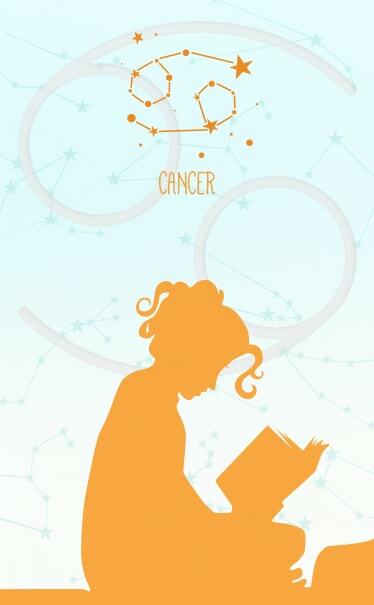 With the moon in Cancer, individuals are extremely sensitive and feelings are of utmost importance to them. These individuals like to be in touch with their feelings and have the knack of figuring out the feelings of others quite well. In other words, they are very intuitive. Nobody can beat their power of memory. They yearn for familiarity and security and tend to have a tight grip on their home, their familiar surroundings, their family and friends and even their possessions. They prefer peace and are afraid of change. Cancer can be prone to mood swings and this makes others clueless about how to deal with them. However, they have a unique perspective about life and tend to value their relationships. These people are extremely sensitive in nature. They also exhibit great amounts of creativity in them and if they don’t have their own artistic talents, they certainly possess the eye of appreciating the arts minutely. They tend to feel uncomfortable when in an unfamiliar territory or situation. However, in situations where they feel comfortable, they can be very affectionate and caring. You may try the Janampatri report, basis your Natal Chart, that will help you to prepare yourself for a better future. Are you looking for a good job? Our experts will tell you the most opportune time-frames during which you can be sure of getting hired. The Cancer natives mostly enjoys good health, but because they are not very active, there is a danger of gaining too much weight, especially if they are involved in a sedentary job. It would do them a world of good if they took up a sport like badminton or make it a practice to go for long walks. Crabs are also very sensitive and can be temperamental, which in the long run can cause anxiety. It is not very difficult for someone to upset them. They need to learn to remain calm under all circumstances. A little effort in this direction would save them a lot of niggling health hassles. In fact, you can get a personalised Remedial Solutions for Personal Issues report, basis your Birth Chart – it can help you to resolve your personal problems. Anatomically Cancer corresponds to: Breasts, chests, stomach, pancreas and thoracic duct; breast bone, the ribs that are nearest to the stomach; muscles between the ribs, muscles used in breathing; diaphragmatic arteries; mammary, gastric, gastro-epiploric and diaphragmatic veins. You can purchase a 100% personalised Life Prediction – Overview report, basis your Birth Chart, to get a brief idea of the vital aspects of your life. Arranged marriage or love marriage? What’s written in your luck? Get an accurate and reliable answer from our Experts.